Nowadays you can find online many companies who sell similar products. You’ve surely seen websites selling weight-loss products, e-books, video games or many different services. You may ask how is it possible for all of them to succeed? The question is they can’t, without of versatile and cost-effective marketing and promotion. This is where the affiliate marketing come in. What is affiliate marketing about? Affiliate marketing is using a third parties to drive sales to the seller or retailer. Retailers have affiliate programs through them they can boost their sales remarkably. An affiliate program works by giving you a commission for every product they sold to every referral you directed to their websites. Next I’m going to show you what’s needed to getting started the affiliate marketing? This means that if a visitor clicks the affiliate link or banner from your website, the company who’s affiliate you are will pay you a commission of every sale your visitor’s made. Affiliate marketing is a great opportunity for a real and profitable online business, especially for people who are considering starting an online business from home. Writing quality blogs on your site you can achieve a good, natural, free internet traffic that enable you earn affiliate commissions for a monthly residual income. You get more information about affiliate marketing through following text link: How to Make Money Online. Below is the four step system of getting started the affiliate marketing. Now it’s time to continue with 5 steps to start the affiliate marketing. Before joining an affiliate program you have to get the basics ready. You need some kind of business plan. It could be some of your interests you’re fancy about. A hobby, a specific skill, products of your own. The most important thing is that you’re willing and eager to write blogs about what you like very much. When you have your own website up and running, you can promote your products or services by affiliate programs similar your website content. Most affiliate programs are free to join and you can start your promotion at once. Some of them needs a little more experience or more exact said earlier leads and sales. But there’s thousands and thousands affiliate programs out there, and you surely find those which interests you. The commissions vary from 5% to 75% of the product price. Of course you earn more, when the product’s price and the commission is high. But how the product converts, that means what is the percentage which leads to the sale. is the most important issue. Some of the most popular affiliate programs are Amazon, Share A Sale. CJ (Commission Junction) ClickBank, Wealthy Affiliate and so on. Affiliate marketing is a real and great online business for every kind of people; stay at home moms and dads, retirees, unemployed, students, 9 to 5 workers, just name it. Whether you are an average person with a regular job or a retiree who wants to use his or her experience in online marketing or a stay at home mom who wish to stay little longer with her children at home and get help with the household costs from affiliate marketing. Affiliate marketing suits for everyone and you’ll learn how to make money at home as an affiliate marketer. Many people start their online business selling products or services when you have to think about manufacture of products, transportation, warehouses, dealing with customer inquiries or complaints. This take a lot of time to plan, organize, execute and monitor. All this leads spending more money before you can even start the business. Starting as an affiliate doesn’t need any special investments or skills, no need to manufacture your own products, no need for any transportation, warehouses or worries about customer inquiries or complaints. Affiliate marketing allows you to start your home business right away. All you have to do is create a website with a specific topic you’re fancy about, join affiliate programs relevant your website topic, and then get commissions through your affiliate links and banners. For example you are writing blogs of your running experiences and you put a shoe retailer’s link on your website for your visitors to click. Working in your pajamas, no need to travel to work in traffic jams, setting your own hours, being able to manage your own things during “working hours”, your work-mates don’t interrupt your working. There are lots of reasons people dream of leaving the normal workplace and launching out to become their own boss. When working at home you don’t need actual customer service, no need to employ people, no special office room to hire. You are totally your own boss. Affiliate marketing can give you lots of free time. What you need to do is just set up your website, advertise it and set up your affiliate program. After that, you have all the time in the world to do whatever pleases you, and with a laptop you can work anywhere in the world. All the previous four steps are just some of the reasons why affiliate marketing is a great business. In addition to those affiliate marketing gives you numerous amazing options to make money online. There are many opportunities in affiliate marketing. For example you can create and promote your own online training courses after you are more experienced. However, all does not happen by itself. You have to be creative in promoting your website. Advertise your website by writing articles and posting them in article publishing websites, this is a great way to increase targeted internet traffic to your website. Focus on getting more traffic, keep in mind that online traffic means more visitors who will likely buy the products your affiliate program is promoting. The success will come if you make your website as attractive as possible. You not only have to get one-time visitors, but you also need to keep visitors coming back again. But as not to give too good image of the success online, I have to underline that the success didn’t come without hard work. Getting rich over night is a pure scam. Only thing that happens quickly is loosing your money. Affiliate marketing demands a little knowledge, a little training and most of all plenty of hard work. When you do those things well enough, the success will come! Here’s a link of Shoe Dog, Phil Knights memoir about creating NIKE, a honest reminder that the path to success isn’t always so awesome, but eventually leads 30 billion income per year. 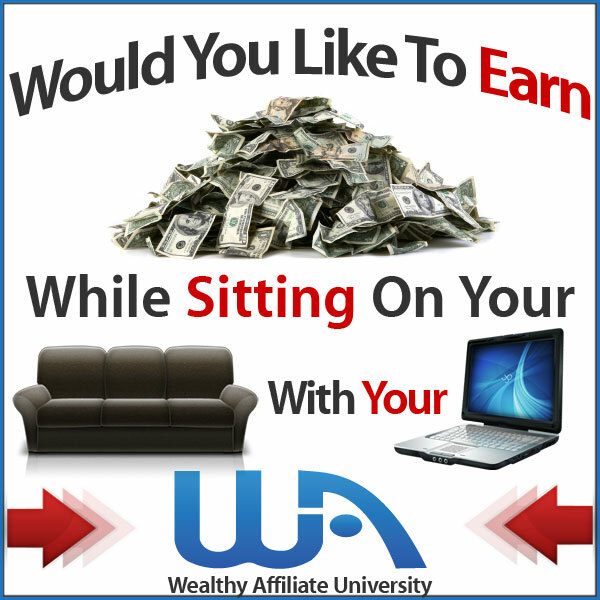 My #1 recommendation to start your affiliate marketing is an online business training network called Wealthy Affiliate. If you’re interested and want to know more check out my Wealthy Affiliate Blog. It’s a place where you’ll learn the secrets of the affiliate marketing step by step from beginner to professional. I am pleased with your encouraging comments, Mukhtiar. As said so many times,the blogger’s greatest asset is the quality content. Content that interests your target audience and gives them the information they’re looking for. This is definitely my main goal as a blogger. When getting such a feedback as yours, I know I’m on the right track, although I have so much more to do with my content writing. Great article, I am also thinking to start affiliate marketing as I have learnt basics of affiliate marketing and now planning to launch affiliate website. I am thinking to launch coupons or cashback site and looking for such affiliate platforms to get data who are working on revenue share model.I have some basic information about these affiliate marketing types and now I wanna make a website on one of them. One of my friend recommend me revglue’s revembed technology ” revglue.com/blog-detail/5-how-to-setup-a-uk-discount-voucher-website-in-ten-minutes ” for this purpose as its a uk base registered company but i am little confused while using it because its a new website. If you/anyone has a experience with it. Please help me in this respect.